Perhaps a slight stretch in our Comeback Candidates series, we look now at the Miami Marlins. They were a chic pick a year ago after locking up Giancarlo Stanton long-term and coming on strong late in 2015, but missed the playoffs for the 12th straight season. With some new faces in the fold, the Marlins hope to make a push in the National League East in 2016. It’s hard to live up to expectations when your all-world superstar plays in less than half of your games and your young ace makes just 11 starts. 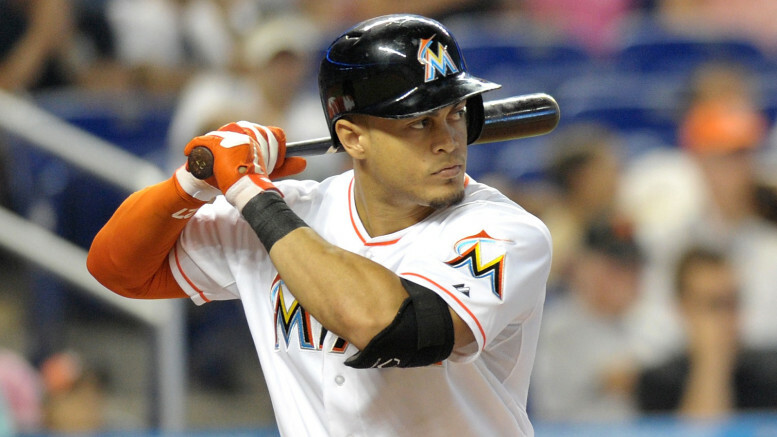 Stanton was limited to 74 contests, but when healthy he is one of the game’s premier players. Jose Fernandez was strong when he pitched but was coming off of Tommy John surgery. Still, in Stanton and Fernandez’s absences, the 71-91 Marlins had some other bright spots. Dee Gordon won the batting title and earned a long-term contract, and Justin Bour blasted 23 home runs in 129 games. The pitching struggled with Jose Fernandez only making 11 starts, ranking 9th in the National League in both starters and relievers ERA. The team added Wei-Yin Chen, who had four very productive seasons with the Baltimore Orioles. It got ugly and bizarre at the same time last year after the team fired popular manager Mike Redmond and promoted Dan Jennings from GM to the dugout. Don Mattingly takes over after winning division titles each of the past three years with the Los Angeles Dodgers. It starts and ends with Stanton and Fernandez. Both are elite young players; Stanton is 26 and Fernandez is 23. Adding Chen lengthens Miami’s rotation, which also has some solid supplemental pieces in Tom Koehler and Jarred Cosart. Gordon won the NL batting crown by hitting .333 in 145 games and also leading the Senior Circuit with 205 hits and 58 stolen bases. Outfielders Christian Yelich and Marcell Ozuna were also limited by injuries. Injuries were a big part of the Marlins’ downfall in 2015, but not the only reason. The bullpen in particular has some major question marks, with the closer role still unsettled. A.J. Ramos had a very good season with 32 saves but has apparently not secured the spot just yet. Carter Capps was dominant despite appearing in just 30 games, and young Kyle Barraclough could contribute in 2016. But depth is an issue in both the rotation and the bullpen. Despite playing in a relatively soft NL East division, the Marlins simply aren’t at the level of either the New York Mets or Washington Nationals just yet. Look for them to improve on their win total with some star talent returning to health, and they could hang around for most of the year, but ultimately this team will fall short of October (again); their 12-year playoff drought is currently the longest among National League teams. Be the first to comment on "MLB ’16 Comeback Candidates: Miami Marlins"